Research GCP has licensed physicians experienced in the conduct of clinical trials in some of the key spots of Latin America. Below are just a few of our recognized principal investigators and of course our list is growing at a controlled pace. With the need to enroll in more complicated and demanding Clinical Trials as well as the pressures to complete panels in a more expeditious fashion; our industry has globalized the conduct of most Clinical work. In the last ten years places like Latin America have become increasingly productive, efficient and intricate in drug and biotech clinical trials. These studies are not limited to pharmaceuticals but also cover device work and other key areas of research. As we move into the future of Clinical development we Globalize and find that our network of health care professionals in Latin America are creating a large customer base for CROs operating in the region. 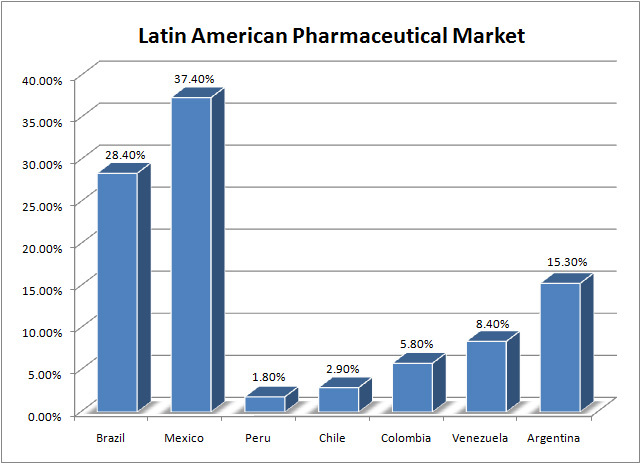 The pharmaceutical industry, through their divisions in the major markets of Colombia, Argentina, Brazil and Mexico, have experienced significant growth in sales as well as allocation of clinical trials, this trend is expected to grow in a swift fashion in the coming years. Markets such as Nicaragua, Chile and Guatemala are also showing a significant growth, and are rapidly becoming more involved, better suited and structured to take on multi center trials. As we continue to see a positive trend into these geographic areas Research GCP-Global Clinical Professionals has strategically placed it’s self in many of these key and pristine locations. Research GCP has sites in Central America and South America with just about every medical and dental specialty available. We have created strategic alliances with the most experienced and already world renowned sites in these areas of the world. At Research GCP we know that successively running clinical trials in Latin America supplements all marketing activity as this will allow local investigators to be familiar with the compounds, products, and/or devices once it becomes approved and is ready to hit the market. In addition we all know that drug registration is habitually smoother to acquire when local research and investigative data is made available to local authorities, regulatory entities, medical community, patients and the general public at large. The following are just a small list of facts about why Latin America is truly the new frontier for Clinical Research Trials; with and enormous amount of resources yet untapped.